Shark Diver : Shark Diving : Swimming With Sharks: Do you want to help a shark researcher? Do you want to help a shark researcher? Every year we get hundreds of emails from people asking us, how they can get involved with shark research. This has lead to Shark Diver teaming up with Nicole Nasby-Lucas from the MCSI for a special science expedition to Guadalupe Island next year. This special science expedition gives our divers a chance to actively participate in the Great White Shark photo ID project and learn about the results of various studies, involving our sharks at Isla Guadalupe. The response has been overwhelming. We have filled the expedition in just a couple of weeks, with many divers still wanting to participate. So we decided to add another special expedition from September 9-14 2014. This is your chance to be part of this exciting research, which up to today has resulted in over 150 sharks being identified at Guadalupe Island. 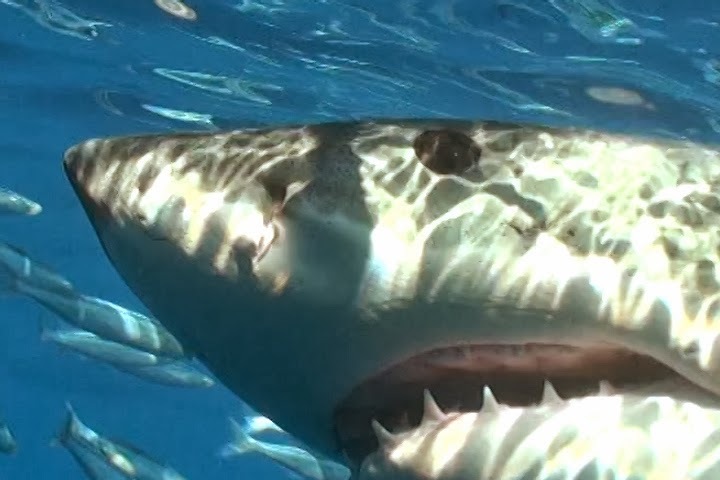 Some individuals like "Bite Face", "Jaques", "Thor" and "Chugey" are regular visitors and have been seen every year since we started going to Guadalupe Island. 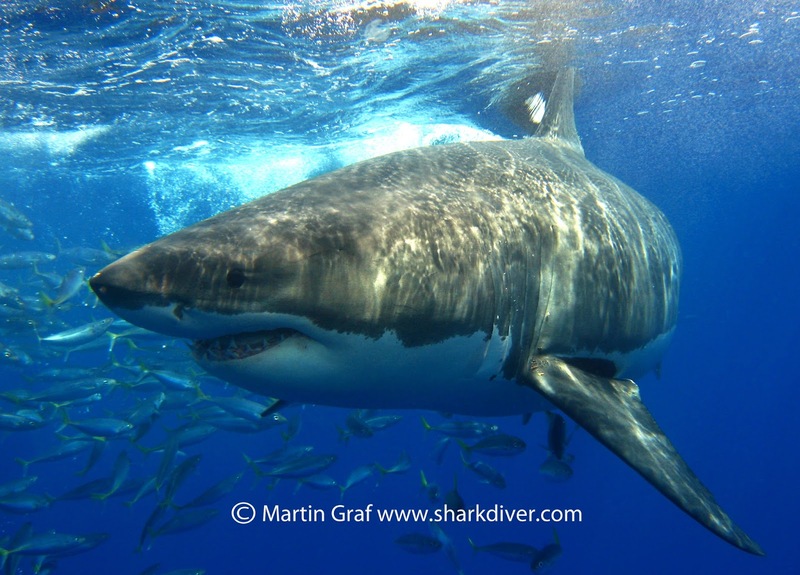 You will learn the differences in behavior and migration between male, female, juvenile and adult sharks along with many other interesting things about Great White Sharks and sharks in general. Nicole has a wealth of information and is excited about sharing her knowledge with you, our divers and research assistants. If you would like to be part of this experience, we recommend that you book early, since, as with our other research expedition, we expect this one to fill up fast. The price for this unique expedition is $3300 and it includes a copy of the photo ID book, containing all the identified sharks at Isla Guadalupe. We will also have digital underwater cameras for you to use and you'll get a DVD of your trip to take home with you and share with your friends.